We are proud to be the UK's premier stockist of Reverend's fantastic range of guitars. 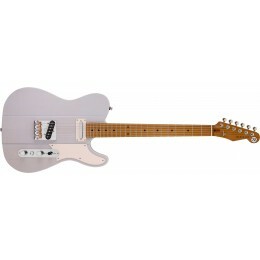 Used by many professional musicians, Reverend guitars punch well above their weight for quality and playability. Available to buy online and in our Glasgow shop. Reverend Guitars from the USA to the UK! Reverend Guitars started in 1997 and have been going from strength to strength ever since. It is the demand for Reverend Guitars in the UK that first drew our attention to the brand. You can now regularly see Reverend Guitars being used by many pro musicians in venues across the planet and on TV. Although mostly mid priced, Reverend Guitars definitely fall in to the "boutique" category, without the price tag. Reverend Guitars are built in a highly respected South Korean factory to an exceptionally high standard. The attention to detail and overall build quality of these guitars and basses is second to none at this price point, regardless of country of origin. Reverend have a growing endorser list filled with pro musicians that you will have actually heard of! These artists can play any guitar they want but choose to play Reverend night after night. Every single Reverend Guitar and Bass is inspected, set up and play tested by their chief setup guru Zack Green at their US Ohio facility. You'll find Zack's initials hand written on the back of every headstock. It's a really nice touch and shows the hands-on attention to detail that makes every Reverend gig-ready right out of the box. It's also another reason why Reverend guitars get such great reviews. 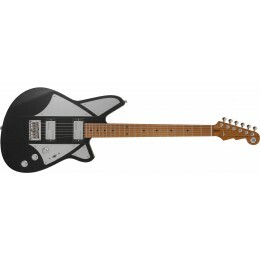 Reverend have an incredible range of guitars. They make a Bolt-On Series, Set-Neck Series, Signature Series and Bass Series. Each model offers something a little different and each has its place. With such a range of specs and colours there's definitely something for everyone. They are also some of the coolest looking guitars and basses on the market! You can now Buy Reverend Guitars and Reverend Basses from our Glasgow shop or online. We have access to the full range and most items can be obtained within two weeks if we don't have it in stock in our Glasgow shop. We also of course check and set-up each Reverend Guitar and Bass that comes in to us from the USA before dispatching to your door. If you have a set-up or string gauge preference just let us know and we'll set it up to your specification. Feel free to contact us if you have any questions.